Ornate Crucifix (Medium) ~SP~ 1 5/8 in. 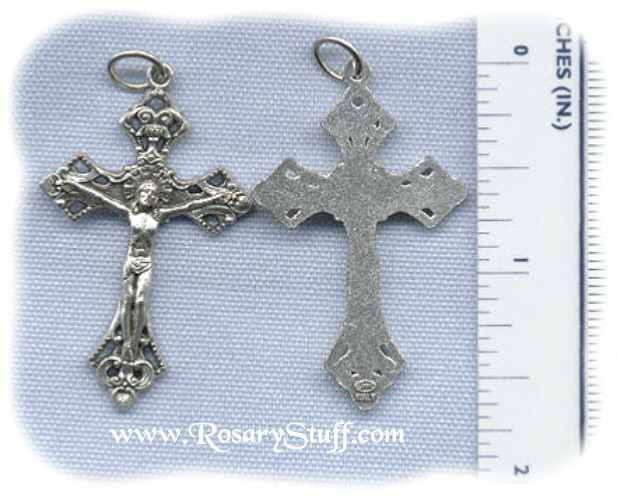 Italian oxidized silver plate Medium Sized Ornate Crucifix. Sized at 1 5/8 inches tall (including ring) and approximately 1 inch wide. Grapes Crucifix (Small) ~SP~ 1 5/8 in. La Salette Crucifix ~SP~ 1 7/8 in.